Here on the west side of Ogden, Utah the Union Pacific's lines south to southern California and east through Weber Canyon diverge via a wye. 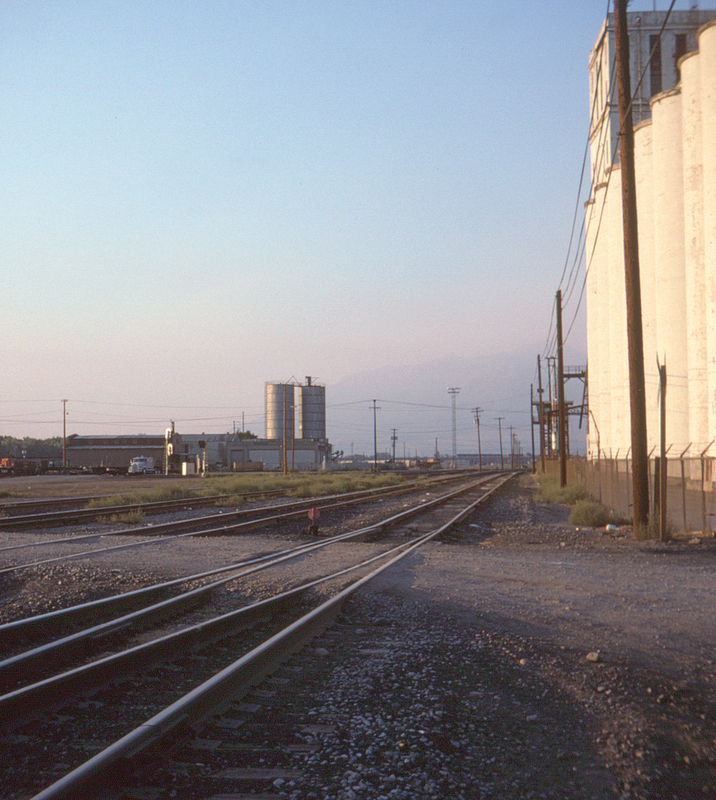 Once Southern Pacific obtained trackage rights over the Union Pacific to Salt Lake City (enabling abandonment of the D&RGW's Salt Lake City to Ogden line), Southern Pacific freights destined for the Denver & Rio Grande Western also passed through here. At right are the landmark elevators visible from Union Station to the north.